Hola, Benvenuto, Velkommen, Aloha, Howdy, Croeso. 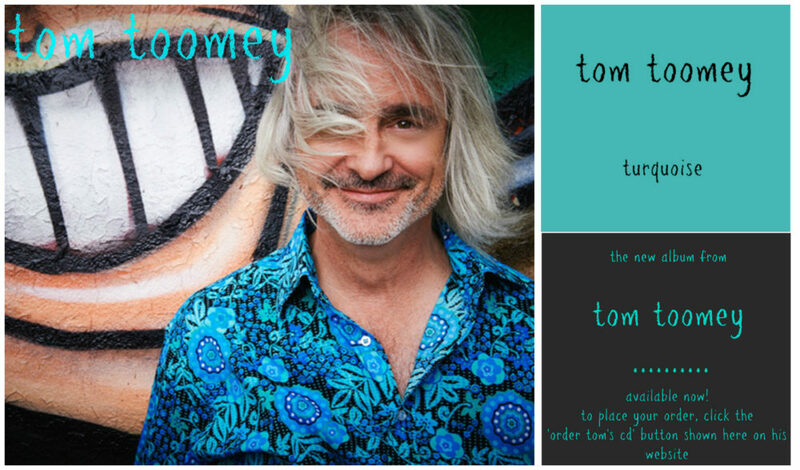 Anyway you say it, Welcome to Tom Toomey’s Official website! We will be adding to it frequently …… especially under the ‘The Latest News and Updates’ tab. Please be sure to stop by on a regular basis for updates about Tom’s solo work and other related projects. Tom is greatly involved in his website, and plays an active role in everything you see here. You never know when he’ll be by to say hello! Don’t forget to also check out some of Tom’s upcoming solo gigs (UK) that he will be doing while he’s not on tour with legendary band ‘The Zombies’. Please click the ‘Gigs’ tab on this site and it will take you directly to that page. Be certain to also visit Tom’s ‘Official’ site on Facebook by clicking on the blue FB logo shown throughout this site. While you’re there please hit that ‘LIKE’ button! AND…… be sure to order a physical copy and/or download of Tom’s latest album….. just released in December 2017- ‘TURQUOISE’. Everything about this cd from concept to completion is from Tom’s heart and soul. The guest artist list joining Tom on the CD is quite impressive and includes Melissa R. Kaplan, Norda Mullen, William Purefoy, Martin Emslie , Susan Aqulia and many more incredibly talented musicians. Turquoise will take you on a magical ride. Each track is a reflection of Tom’s point of view. Along the way, he boldly shares his bumps, bruises and bliss. It’s a soulful mix of pop, jazz, rock and blues……. quite difficult to put into just one music genre…….so don’t even try! In addition, please check out his classic CD ‘Monficat’. This critically acclaimed album is a fluid combination of different genres; fusion, world, Celtic, blues, jazz, rock, roots and folk, with African, Eastern, French & Spanish inspiration. Purchases for physical copies of all of Tom’s CDs: Turquoise, MonfiCat, Gambia and Iron On Stone, are available via PayPal. Please visit the ‘Order Tom’s CDs’ page shown on this website. Thanks so much for stopping by. Please help us spread the word!